One of our dear readers and friends, Marcella posted on a previous article, a comment about Campus Crusade for Christ International (CCCI) . With her permission I reprint and comment on it here.. but first I must make a few quick points. 1) INTENT: Perhaps the original intent of CCCI founder Bill Bright was honorable. 2) DISCLAIMER: Maybe you are one who trusted Christ as your Savior through that ministry. That is good. It is possible in spite of their erroneous message. However, we do not recommend CCCI or Cru at all. 3) FELLOWSHIP: CCCI has given high school and college students a place of fellowship.. but unfortunately it was not a fellowship in the True Gospel of Jesus Christ. Here I quote Marcella’s note and then I will give my experiences with Bill Bright and with some dear friends, who came to Bible College having previously been steeped in Bill Bright’s “throne” message. I’m afraid Campus Crusade for Christ has fallen away from the gospel. In early 2012, their new name will be “Cru.” It’s because people are offended by Christ in their name, so Campus Crusade is going for a short name that will appeal to people. Here’s what Campus Crusade says, “There’s only one reason we’d change. We want to do a better job of connecting people to God’s love and forgiveness. It’s all about helping people experience the good news that Jesus offers.” Removing Christ is sad, but it’s even more sad when He’s entirely removed from the gospel. It reminds me of the Emergent churches. If you don’t agree with Campus Crusade’s new name, be prepared to be banned! I used to support them, but stopped doing that a few years ago due to their law filled gospel. There’s much on the internet about Campus Crusade’s association with the charismatic movement and Roman Catholic Church. In the late 1960s I became friends with several young men who, even though avid CCCI members, decided to attend Florida Bible College in Miami/Ft. Lauderdale, Florida. After being there for a semester they began to see the Truth of the Gospel and realized that through their affiliation with CCCI, they had learned and been preaching a false “gospel.” They were extremely excited to see and learn the Truth — that in order to be saved, one does not “take self off the throne and put Jesus on,” but simply trust Jesus Christ as one’s Savior. (John 3:16-18) They all became great soulwinners while in college and after. At some time in the late 60’s or early 70’s, the usually very discerning President of the Bible College announced he was having Bill Bright visit the college for a series of speeches to the students. At that time I sat on the Advisory Board of Florida Bible College and was an Elder in the affiliated Florida Bible Church. I was not happy about the President’s decision to invite Bill Bright. However I was pleased that those students who were former CCCI promoters were also very upset and disappointed that Bright was to speak to the student body — because NOW they realized the lie of CCCI. I spoke with the President, expressing my concern, disbelief and sorrow that he would invite a person like Bright. I explained that Bright was a very appealing and charming speaker who would influence the students — but with a false “gospel” message. I felt he would mislead these young minds. I expressed my belief that he should cancel Bright. Shortly after, several of the former CCCI men formed a student committee and visited the President. They presented their case against Bright and CCCI, pleading that the President should cancel Bright’s visit. Thankfully, we were later notified that Bright would not be visiting or speaking at the Bible College. I must assume Bright’s motivation for visiting was to increase his influence and membership in CCCI. I applauded and thanked the President’s decision to cancel Bright. A young friend, who trusted Christ as his Savior at an early age, joined CCCI while in college — against my advice. He cannot be convinced that their message is wrong. His ecumenical CCCI fellowship (sponsored by a Presbyterian church) included and accepted students from many different brands of un-Biblical “Christian” religions. They were taught NO Biblical doctrine nor discernment at all. Such is dangerous and it distresses me to see that. We will appreciate your comments about CCCI/Cru or your experiences with them. Please comment whether you agree or disagree about their message as well as their determination to remove “Christ” from their name. This entry was posted in Campus Crusade, CCCI, Christian, Christianity, Conservative, contemplative, CRU, Danger, Emergent, Emerging, Faith, Free Grace, Grace, Lordship Salvation, Reformed theology, Religion, Salvation. Bookmark the permalink. We appreciate your comment.. The Lord has been gracious to us in this ministry. Pray we will always adhere to and preach the Truth — by Grace alone through faith alone in Jesus Christ and Him crucified – alone. 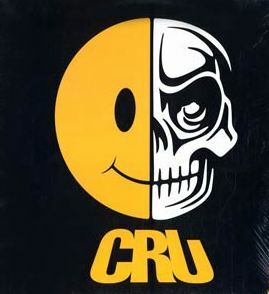 I just saw this ridiculousness about Campus Crusade for Christ changing its name to Cru. Shouldn’t surprise us, as per 2 Tim.4:3-4. But it is sickening. Thankfully Paul gave the answer just above, preach the Word, in & out of “season!” Thank you for being a Timothy in that respect bro. Jack! Interesting — I had not heard that.. I am not a fan of the “Baptist” faith since it varies so much from place to place and the SBC statement of faith is in error terribly (or at least their latest and previous renditions). So it is really a matter of time before all main-line churches will be ecumenical enough for the last days world ruler and ruling power,. I see that the Southern Baptists are discussing a name change now, too. It’s pretty scary when ministries try to keep their leader alive. That’s a form of idolatry. I’m sure there are many ministries that do this. Two I know of are Kathryn Kuhlman’s, which is now the Kathryn Kuhlman Foundation, and Oral Roberts, which is now Oral Roberts Legacy. People can still get their sermons, tapes, books, etc. There was a preacher, who I used to hear on the radio, and then I found out he had been dead for several years, but I cannot recall who he was. I was shocked that his sermons were still be aired as if he was still alive! And so, the deception goes on! When I was in the Latter Rain movement, a prophet told me that I was going to be just like Kathryn Kuhlman. I had never heard of her and had to ask someone who she was. Benny Hinn went to her grave to get “the anointing” that had been on her. I’ve been to one of Hinn’s crusades, and it’s very man centered, even though Hinn claims that it’s not about him, it’s about the holy spirit. I watched in disbelief as Pastors were called to the stage. Hinn stood to the side and told the Pastors that they were going to come up and touch Jesus because He was standing on the stage. The Pastors supposedly hit or touched something and they all fell down “slain in the spirit” on the stage. I’d never seen anything like it. Hinn had very tight security. Everyone had to be checked before even entering the auditorium. The people, who Hinn claims were in wheelchairs and are now healed is a total sham! I saw it at the crusade. Hinn was distracting the audience while his helpers placed a row of wheelchairs on the stage and Hinn declared that the people, who had been sitting in them were healed. Where were those so called healed people? I saw the people in wheelchairs in the crowd, but none of them were standing or claiming healing. Then as quickly as those wheelchairs were placed on the stage, Hinn said to the helpers, “Take those chairs off the stage. Quickly now! Run!” Those helpers took the chairs and ran with them. I didn’t see where they sent. Hinn will probably be another one, whose followers try to keep alive. And so, the deception goes on! Thanks Marcella for the link and thanks Jack for for the insights on Kennedy (so sad about “Don”). I looked at the web site, Marcella, and, if I didn’t know better, I would almost swear that D. James Kennedy was still alive (he died over four years ago!). At least the web site is going on almost as if he were. I guess that this is not so uncommon of a practice, like the Thru the Bible Radio Site which carries on without clearly alerting new listeners that J. Vernon McGee has been dead for about 22 years. D James Kennedy was a very influential and patriotic pastor but a devout and radical Calvinist. However, because of his patriotism he hoodwinked lots of folks into Calvinism. About Dominionist? I don’t know. Don, a young man (formed star fullback for the University of Kentucky) worked for me in my business while we were both going through Bible college. Upon graduation and post working with me, Don went through Kennedy’s course on “Evangelism Explosion” (EE) in person at Coral Ridge Presbyterian church at Ft. Lauderdale. In the one-on-one EE course, he was told that in witnessing he was to tell the unsaved that “he must repent – turn from your sin” to be saved. Don balked.. But they continued to insist and finally Don was so upset he went directly to speak to Kennedy, telling him that he could not continue with the “turn from sin” message. After quite a long personal meeting, Kennedy convinced Don that “turn from sin” is the Gospel message.. So Don became an ardent Calvinist.. totally contrary to what he had learned, knew and believed. That is the slick and awful lie of Calvinism, of Kennedy, EE and “Truth” in Action (or whatever they call it this week). Here is another ministry that changed its name: formerly Coral Ridge, whose founder was D James Kennedy, now Truth in Action. My whim is that the video on this website is all about D James Kennedy and nothing about Jesus Christ and the gospel. I saw a quote on another website of D James Kennedy promoting dominionism, but I haven’t been able to validate it, so won’t post it. No doubt CRU and many other ministries are afoul of Scripture. We should pray for discernment for all of them but too many wallow in their deceit and don’t want Truth. There are so many ministries and church leaders tickling itching ears. Campus Crusade’s comments sound like Lordship salvation and the law at work. Look closely at what they say, “Cru enables us to have discussions…,” “We believe that our interaction and our communication with the world will be what utimately honors and glorifies Christ.” It’s “us” and “we,” and Christ finishes last. Great point… but isn’t a shame that we hear about it from the left wing Christian hating Huffington Post and not much of anywhere else? (Except Marcella — Thanks Marcella). Bruce your thought about the old Christian institutions, Harvard, Yale, Princeton is an example of compromise for the sake of popularity and dollars. Now we see it in the new name Cru.. but also doctrinally in “main-line” teachers, churches and assorted purveyors of false doctrine. Right now we are in a time when sound doctrine will not be endured and folks will turn away from the Truth. I’m sorry, but “CRU” is a dumb name. I predict that they will change the name again shortly. I also think that it is quite interestin­g that they are trying to make the organizati­on sound less “Christy”. That should tell you something right there. Harvard, Yale, Princeton were all Christian institutio­ns before they became secularize­d while watering down the presentati­on and message of Christ to become more acceptable to a secular world. It is a slippery slope that removes Christ from Christian institutio­ns inevitably turning what was once Christian into secular. You would think Campus Crusade would know better. Very sad. So you take “Christ” out of the name? Hypocritic­al, no? I suppose that none of this should be all that shocking as CCfC has been on the ecumenical slide for decades. Your E-Free Church experience is not unusual.. Most denominations support such ministries especially CCCI because they all seem to have members or kids who have been involved with CCCI at some time in their school life.. So rather than take a stand (if they even are aware of the apostasy), the church admins go along to get along. Sad !!! The pressure exerted by “missionaries” is not unusual and certainly not Biblical. Mission support should be voluntary with folks you know whose main goal is winning the lost — not just going on a trip to dig wells or feed and clothe folks. Those are nice things one can do but the #1 goal must always be win the lost to Jesus Christ at all costs. A young friend just graduated from college, moved out of college town and thankfully is working in a secular job, not as a “missionary” for Cru. I doubt that he will be involved unless his Presby Church taps him to work with an in-church ministry. Thanks again for your thoughts and experiences. Jack, thank you for posting this and for sharing your experiences with CCCI and others’ experiences. Is your grandson still involved with CCCI? I’m thankful that the president of the Bible College chose to cancel Bill Bright’s visit. My experiences with CCCI came about when I attended an Evangelical Free Church which strongly supposed CCCI. In fact, several young people were either CCCI missionaries or going to become missionaries. They have to raise their own support which means they have to ask people to commit to sending a certain amount of money to them each month. The youth Pastor and his wife from the E-Free Church became missionaries and I supported them for a couple of years. I started struggling financially and made the decision to stop supporting the couple. They told me it would be a hardship for them, that they would take a loss each month and wouldn’t know how to pay their bills or even afford basic necessities. I went on a guilt trip for awhile, but stopped giving to them. Then another gal from the E-Free Church became a CCCI missionary. She came to my house and did a presentation using a book that CCCI provided. It was about their ministry and at the end, the question was asked, “Will you consider supporting CCCI through generous monthly giving?” I committed to giving a certain amount to the gal, but then knew I could not afford it, so I told her so and then didn’t send any money to her. A few years ago, she contacted me again, wondering if I would consider supporting her CCCI ministry, but by that time, I had read about CCCI on the internet and knew that their ministry was not biblical. I told the gal and she asked what about it I didn’t agree with and what wasn’t biblical. She stuttered and said, “I can appreciate your honesty, but are you sure you cannot support me financially?” I felt pressured, told the gal, “I’m sorry, but I cannot.” She again tried to get me to support her, but I said, “I cannot do that,” and then I told her I had to go, so she hung up. I got the impression that the CCCI missionaries feel pressured to ask people to financially support them, so in turn, the put pressure on people to do so.